What’s That? You Have Water in Your Oil?! Water… great for living creatures, bad for hydraulic and lubrication systems. Contamination is the leading cause of component failures in lubrication and hydraulic systems. While particulate is the most often encountered nemesis, oil contaminated with water creates a set of headaches like no other. For those of you who have dealt with water contamination, and the costs associated with it in your critical systems, you know exactly what we are talking about. Some of the problems associated with water contamination are loss of lubricity, corrosion, changes in oil viscosity, instability or dropout of additives, and displacing of oil at contacting services causing increased wear. Water contamination in storage tanks and reservoirs can lead to microbial growth that will form “sludge” that can clog filters and accelerate corrosion. Problems will occur, whether visible or not, in any system in the presence of more than about 0.2% water. The repair costs, parts and man hours, plus down time associated with water contamination can be astronomical. Vacuum dehydration is often the most expedient and cost effective means of bringing water contamination under control. 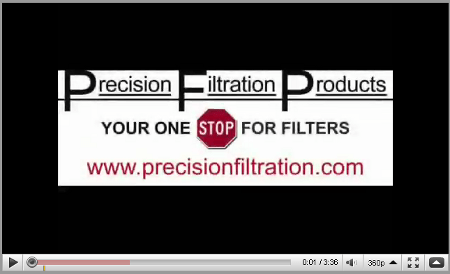 Precision Filtration Products has a complete line of vacuum dehydrators for sale and emergency rental. We offer a variety of approaches in dealing with contaminated hydraulic and lubrication systems. From oil sampling and testing, to emergency rental systems, to portable filter carts and filter upgrades, we have the solutions to your most difficult contamination related problems. Make sure to contact us today and allow us to help you improve the oil quality in your critical systems, hit your target ISO cleanliness codes (e.g. ISO 4406), extend oil and equipment service life, and improve your bottom line. 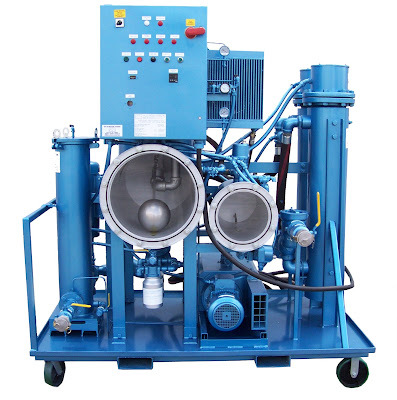 Click HERE to view our brochure of Vacuum Dehydrators!